QuickKey 2.0 now supports multiple placeholders—so you can define a block of text with multiple “variables”, crafting entire e-mails. Set up custom email signatures to insert on demand. 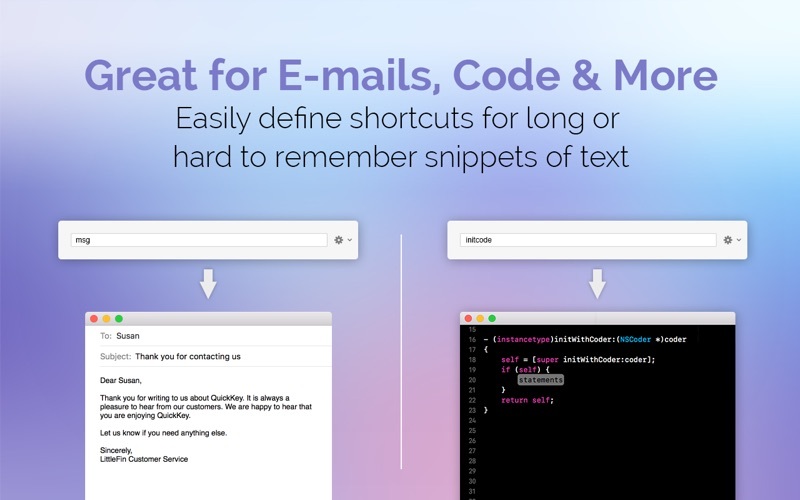 Quickly respond to emails with boilerplate replies. 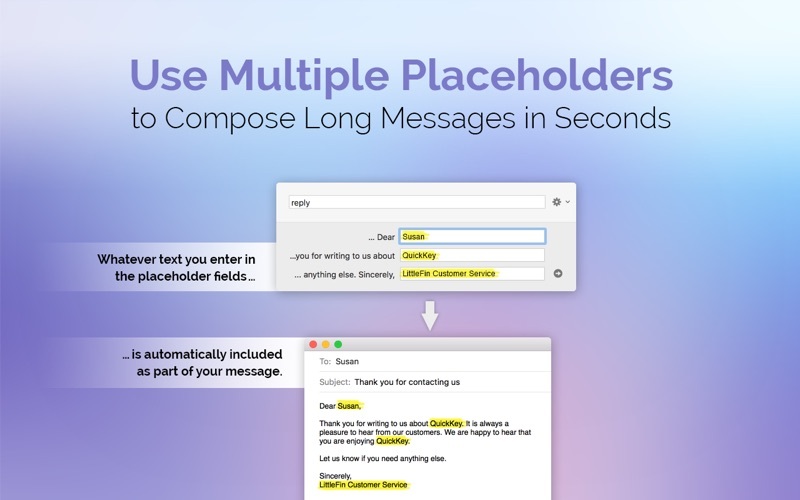 NEW: Support for multiple placeholders. Define multiple unique placeholders per snippet. NEW: Free iOS companion app. 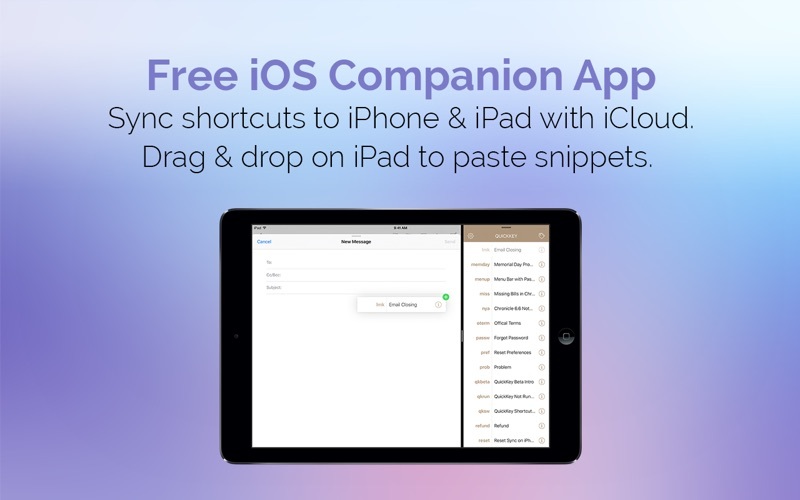 Sync your snippets to iPhone & iPad to use them on the go. NEW: Enhanced date support. Set custom shortcuts for short & long dates, and define custom date formats. NEW: Nested date support. Insert dates as variables inside other snippets. 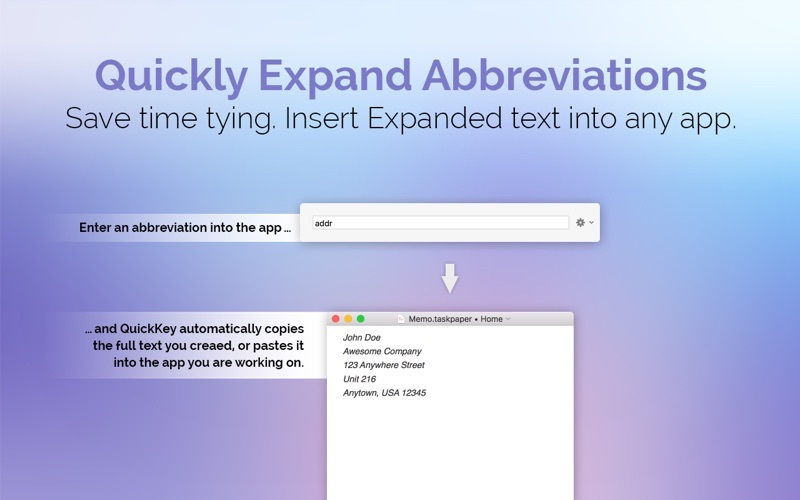 NEW: Quick access to creating new snippets from menus. NEW: Option to create a new snippet from the clipboard. IMPROVED: Revamped and improved help on launching app. FIXED: A number of small bug fixes and interface improvements.